June 21, 2012: The OCSH gave a deputation ﻿to the Community and Protective Services Committee of Ottawa City Council in support of a bylaw banning waterpipe smoking on municipal property (parks, beaches, and facilities). The Community and Protective Services Committee recommended amending the Parks and Facilities By-law to include a ban on waterpipe smoking on outdoor municipal property. June 27, 2012: The City of Ottawa banned waterpipe smoking on outdoor municipal property. November 17, 2014: The OCSH gave a deputation to the Ottawa Board of Health in support of a bylaw prohibiting the use of waterpipes inside and outside all public places and work places. November 5, 2015: The OCSH issued a news release, urging the City of Ottawa to follow the lead of the City of Toronto by banning waterpipe smoking inside public places and workplaces. December 15, 2015: The OCSH gave a deputation to the Ottawa Board of Health in support of "Let's Clear the Air 2.0: Consultation Plan". January 19, 2016: The OCSH gave a deputation at Ottawa Public Health's Public Consultation on the Expansion of the Smoke-Free Bylaws. April 1, 2016: The OCSH issued a Position Statement on Strengthening the City of Ottawa's Smoke-Free Indoor and Outdoor Bylaws. April 18, 2016: The OCSH gave a deputation to the Ottawa Board of Health. June 20, 2016: The OCSH gave a deputation to the Ottawa Board of Health. July 29, 2016: The OCSH submitted a letter to the Community and Protective Services Committee of Ottawa City Council. August 25, 2016: The OCSH gave a deputation to the Community and Protective Services Committee of Ottawa City Council. August 31, 2016: Ottawa City Council passes a bylaw prohibiting the use of waterpipes inside public places and workplaces, on restaurant and bar patios, and in stalls at the Parkdale Market and the ByWard Market. The bylaw came into effect on December 1, 2016. The City of Ottawa issued a news release about the implementation of the waterpipe bylaws. Bacterial or viral infections (e.g. tuberculosis, hepatitis, herpes, influenza, and oral disease) from sharing mouthpieces. (6) Hookah bars may not replace or sterilize mouthpieces. 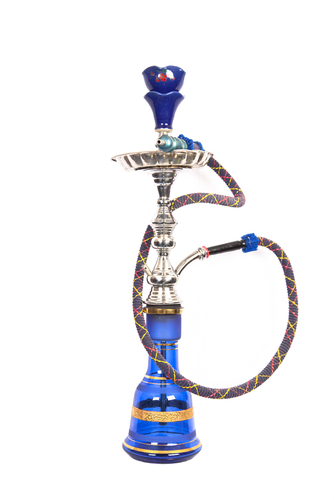 Although many hookah bars in Ottawa claim to sell or rent water pipes containing herbal products instead of tobacco, several hookah bars were charged with illegally selling tobacco, including to youth, thus contravening Ottawa’s smoke-free bylaws and the Smoke-Free Ontario Act.